I always seem to be missing album art from Xbox music (on Windows 8) and that for me is truly frustrating. I know MP3s are so 6 years ago but I still have a few albums that I took the time to carefully curate over the years and to see the patchwork of generic album covers in my collection in Xbox Music player is just a little annoying. Open Xbox Music app and resize along with the desktop, and then open Windows Media Player (WMP) on your desktop. 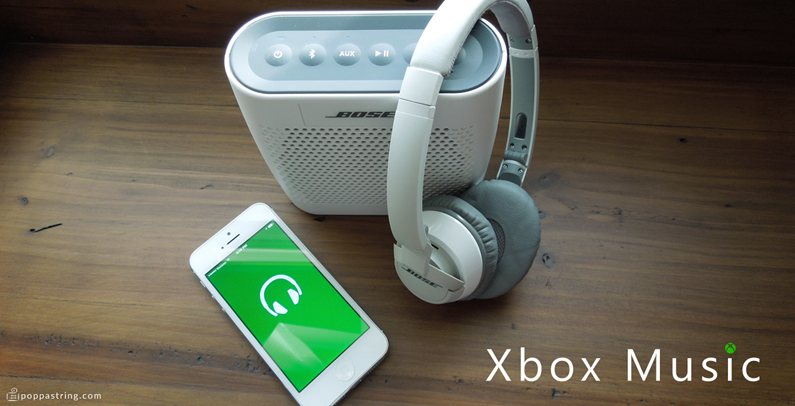 Select the album you are interested and ensure that you can see it in both Xbox Music and Windows Media player. Search the internets for your album art and download it. Copy the album folder of interest to your desktop (this is your backup, if you lose it, you are on your own). In this backup folder create a copy of your album art, name it “Cover.jpg”. Delete the album from the original location and wait for it to disappear from WMP. Once it has disappeared from WMP *copy* it back into the music folder from your desktop (with the album art). WMP is intelligent enough to assume the picture in the album folder is the cover art. Once the album automatically reappears in WMP we will need change the album art temporarily. Do a windows print screen (using your print screen button). Right click on the album in WMP and hit “Update album info”, this will change the album art. Now find your album art again (you copied it into your music folder with the MP3s) and drag it over your album in WMP. It will prompt you to “Add album art” and you should do so. Within a few seconds (15 seconds was the longest I waited) you should see the Xbox Music album cover update. This *worked for me on my machine* for the albums you see below. If you have any problems with the process hit me up in the comments.